"Easter announces the Good News and great joy of Jesus, risen from the dead. We who have come to know Him are appointed as joy-bringers to our world, and we need to encourage one another in this great and exciting work." 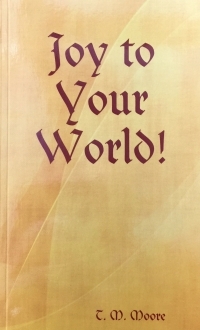 Our April read, Joy to Your World!, can help you and some friends to grow deeper in the joy of the Lord, and to become more consistent and effective in sharing that joy with the people in your world. Order several copies of this little book. Give them to friends, and read and discuss it together. When you order, we'll send you a discussion guide to use in your time together.